Authorities in Cape Verde have seized 280 kilograms of cocaine in a bust in the Atlantic from a Brazil-registered fishing vessel as it prepared to transfer the drugs to a U.S.-flagged yacht, the Cape Verde judiciary police and coast guard said on Monday. 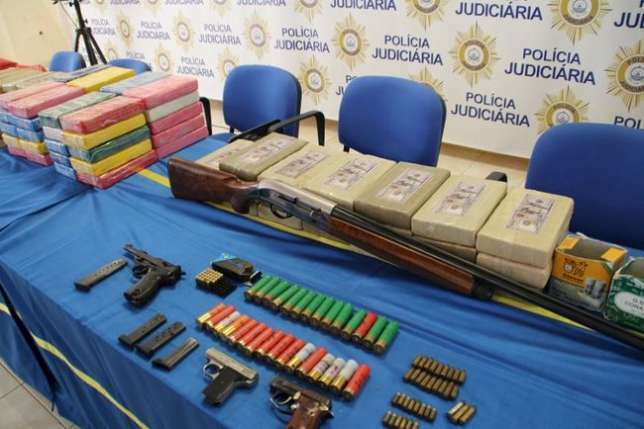 They arrested four Brazilians, one Cape Verdean and a Russian and have since conducted searches in the capital Praia and in Assomada, on Santiago island, seizing weapons, ammunition, satellite phones and around $50,000. The bust happened when the fishing vessel ran out of fuel and the yacht arrived carrying 450 litres of fuel, apparently to restock the fishing vessel and transfer the drugs, a senior police official said. Cape Verde, an Atlantic archipelago of 500,000 people, is the West African nation that has shown the most determination tackling gangs smuggling Latin American cocaine to Europe via the region.